posted: January 14, 2017 by: Ryan Poling Tags: "Clinic Specials" "News"
MyPetWellness is the new connection between your pets and Hernando Animal Clinic & Surgery Center. 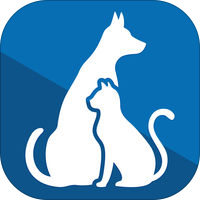 MyPetsWellness features unique technology which allows you to access your pet's medical records, book real time appointments, and much more. You can even personalize MyPetsWellness with your own pet photos, all from your mobile device. You can see map and directions to our clinic, or call, email and text us directly from your device. The MyPetsWellness app is connected to your pet's records at our clinic, so it is always up to date. You can upload pictures and send files using MyPetsWellness to inform us of your pet's condition before your next visit. Please contact us to get your pet's login information! You may download the app for either Apple or Android devices.